Here at Pauley’s Pups, we are always excited to introduce new breeds to our customers, and the cairn terrier is one of our more recent breed additions that we’re incredibly excited about. This small, cute dog will be instantly familiar to anyone who has seen “The Wizard of Oz.” Whether you choose to name your cairn terrier Toto or anything else, the following is a brief introduction to this charming breed. 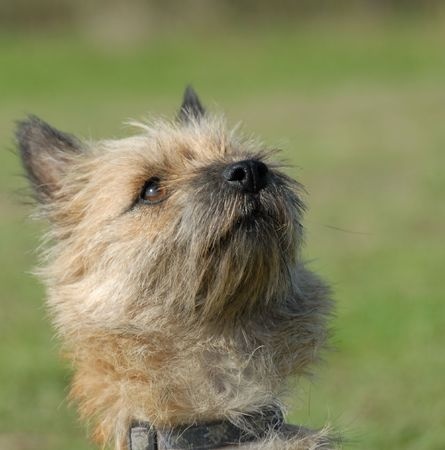 You may be interested in knowing that this is one of the oldest terrier breeds around, with the first cairn terriers originating in Scotland centuries ago. Specifically, this dog was first bred in the Highlands of Scotland, and it was initially part of one larger group of dogs that also encompassed the West Highland white terriers as well as Scottish terriers. This dog’s coat tends to feature a number of different colors, including cream, black, sandy, gray and red. The cairn has a double coat that the American Kennel Club notes is incredibly weather-resistant on the outside, while the undercoat is very dense itself. Cairn terriers are also generally small dogs and don’t typically grow to be more than a few feet in length. The cairn terrier has a number of personality and behavioral traits that make it ideal for both individuals and larger families with children. Many people describe this dog as cheerful, and members of the breed seem to always be on alert and ready to play. At the same time, these busy dogs don’t have an overabundance of energy, so they won’t wear you out by the end of the day. There’s good news and bad news when it comes to how the cairn terrier will deal with other pets. On one hand, they can sometimes be bossy towards other dogs and pets in general. On the other hand, they get along with other animals much better than just about any other type of terrier. That said, it may take a little while for a cairn terrier to get used to any existing pets in the home, but once all members of your furry family have met and had time to adjust, they can often all cohabitate in peace. With these facts in mind, we know you’re probably eager to take home a cairn terrier today. Check out our currently available puppies for sale for more details, or give us a call at 804-798-7877 to speak with a member of our team about adding a cairn terrier to your family.